Since they first landed on this here planet, The Poison Sisters have built up a reputation for gob-smacking their audiences with their own unique mixture of bone-crunching rock'n'roll, punk bravado, jazz sneakiness, wilful experimentalism, pop sensibilities and tales of murder, lust, loss and lurid duplicity. 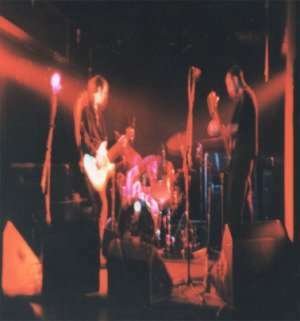 The band have been based in Glasgow since 1992, and have been heavily involved in the independant label scene that has emerged in the city since then, with the majority of their releases being put out on the local Flotsam And Jetsam record label, and, more recently, on the Radium Dial label. To date they have released four 7" singles - Chicane EP, Split 7" (with Eska), Digitalis EP and Club Beatroot No.7 (with The Karelia), and 5 albums - Tarantula Rising, Count Your Blessings, Tron Box Office, Keelhauling with...., and Lo-Fire, and are currently working on their next record, which should be released sometime in 2019.